For additional Homes for Sale in Downtown Fredericksburg Click here! Awesome saltbox colonial with large detached garage within view of UMW! Cherry flooring, 2 fireplaces, modern kitchen, upgrades galore. Picturesque setting with inviting deck. Real quarried stone on exterior and appealing landscaping. So much room inside. 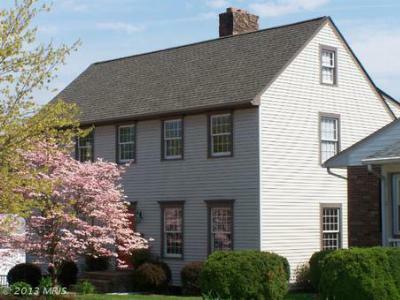 This home is a colonial built with all the modern conveniences. You will love the ambiance and feel the quality of construction. Whether you are coming to Fredericksburg as a first time home buyer, investor, expanding your family or looking for a luxury home, you have come to the right place. Call to speak with one of our experts to make your next investment a dream come true!